Thus, while this year 63 per cent respondents said that cybercrime has led to financial crime, about the same numbers, 65 per cent, say it has been carried out to target financial gains. A similar report a year ago said that 45 per cent respondents -- about 20 per cent less -- thought cybercrime was carried out to target financial loss. The report adds, 46 per cent respondents believe that corporate espionage has been the motive for cybercrime, and 45 per cent “mentioned theft of sensitive information” as the cause. 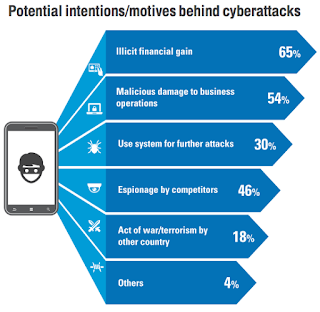 The report comments, if cybercrime was only perceived as a “malaise, impacting large companies and multinational corporates who have their presence in the western hemisphere”, now “Indian companies are increasingly being targeted”. Dishing our more data, the report states, “65 per cent respondents indicated that email servers are likely targets for cybercrime, while 46 per cent identified end user systems as targets”. The survey was conducted by using web-based forms and personal interviews, with participants attached with important sectors such as oil and gas, infrastructure and government, IT and ITeS, manufacturing, pharmaceuticals and chemicals, and retail, and telecom. 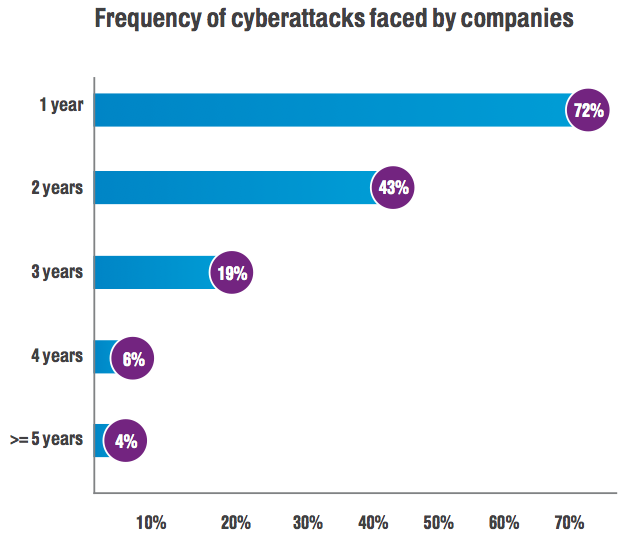 “There is a significant spurt in cybercrimes across enterprises and it is of paramount importance for management to realise that these are no longer a one-time phenomenon”, the report says. It adds, “The nature of cybercrime is constantly evolving, specifically with attackers having a solid arsenal of the ever evolving stealth attack”, with 94 per cent believing “cybercrime is one of the major threats being faced by organizations”. Data security breaches happen daily in too many places at once to keep count. Any business irrespective of their size should build a strong data room software security to ensure strong data protection.